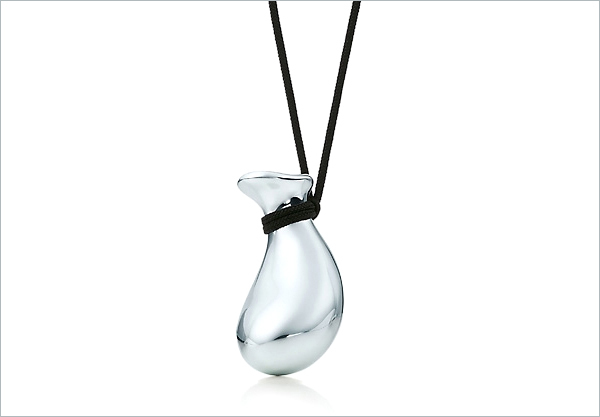 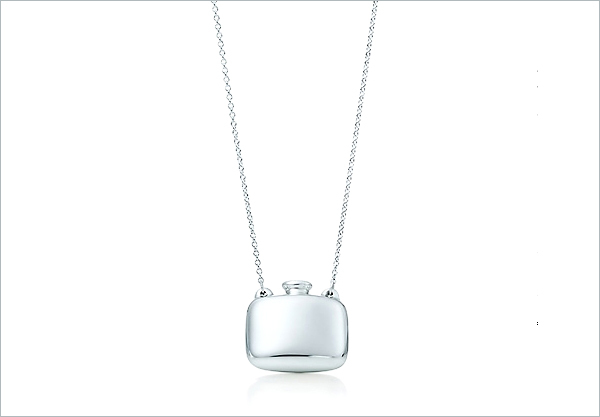 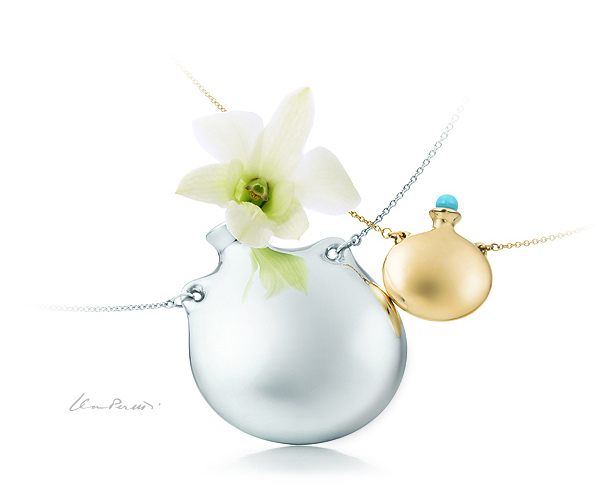 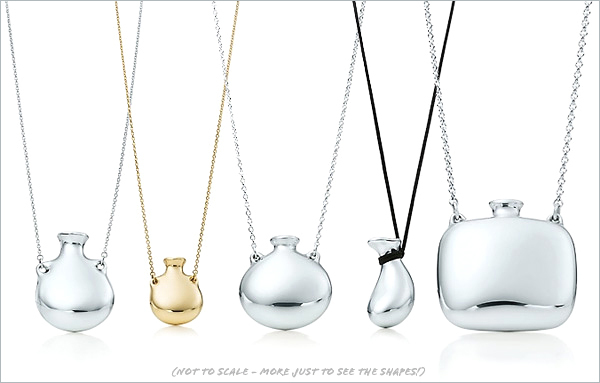 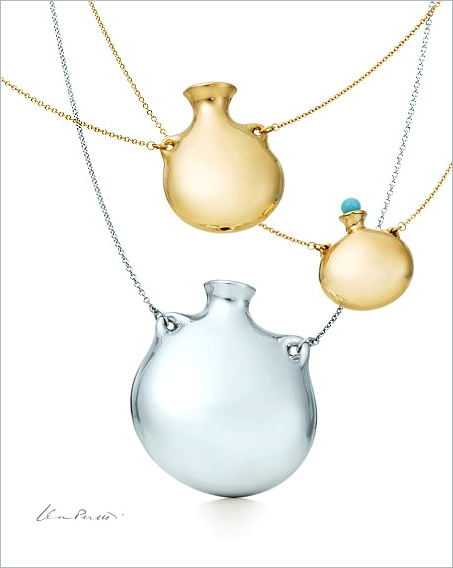 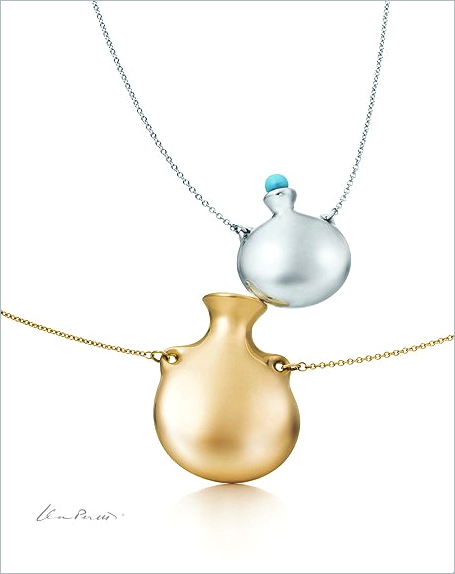 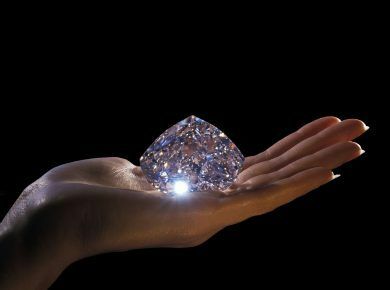 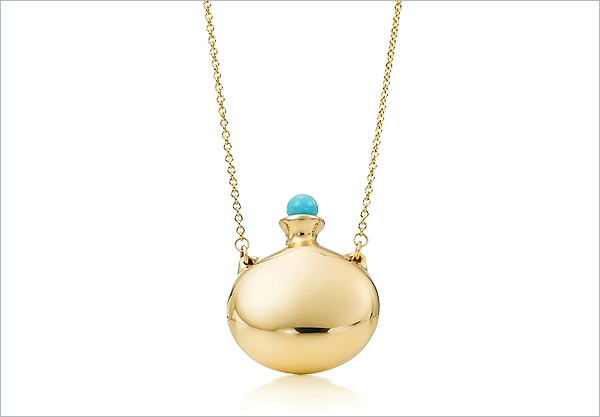 This summer Tiffany & Co. represents new collection of bottle-shaped pedants by Elsa Peretti. 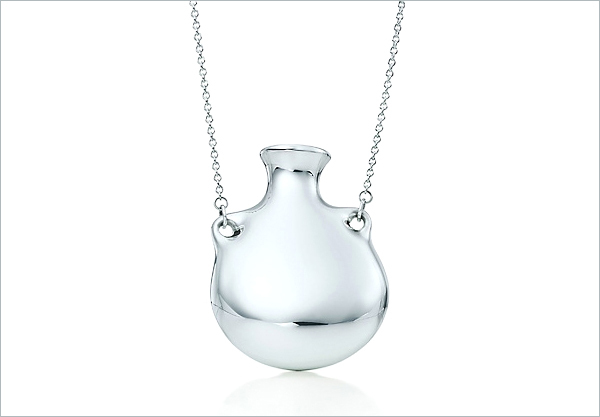 Decorated with precious metals and gemstones these beautiful sterling bottles will be a perfect place for a message or a tiny flower. 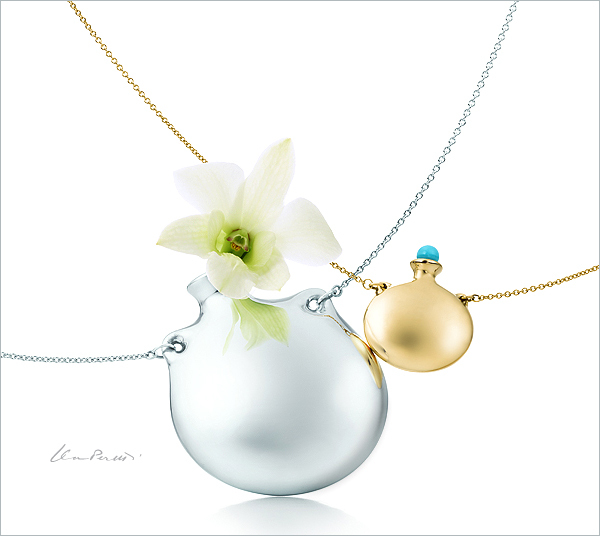 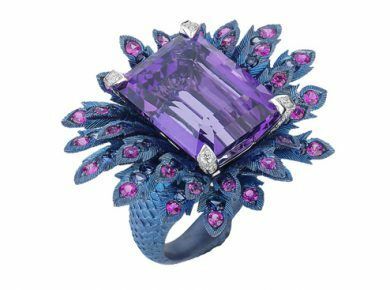 "Inspired by her visits to Italy in the 1960s, Elsa says the necklaces bring to mind the beautiful women she saw there, each with a gardenia in their hand. 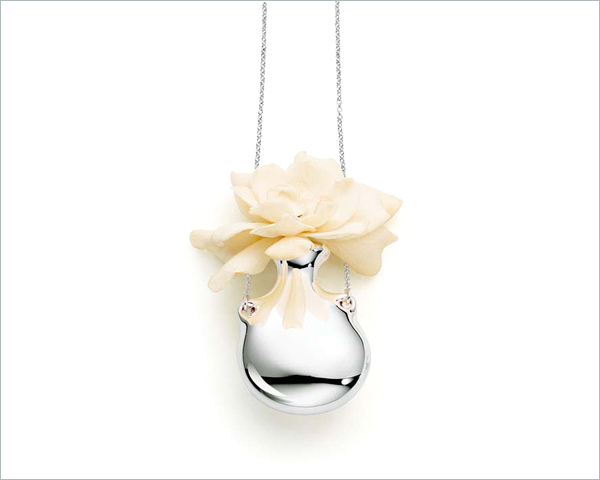 She wished to create a vessel that would keep the flower alive and sketched a design based on beautiful antique bottles."